President Donald Trump’s “Make America Great Again” rally in Ohio was marked by protesters, but he still had time to push for a repeal of Obamacare, call out “fake news,” list his “many wins” and even brag of “liberating our cities” of illegal immigrants. 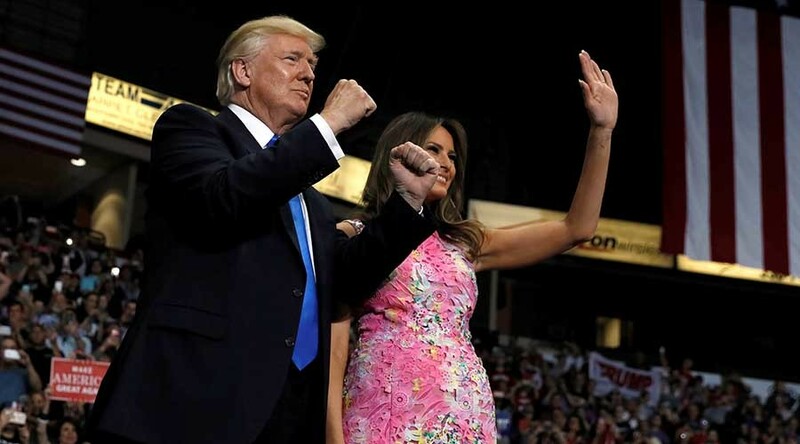 Thousands gathered to hear the president speak on Tuesday in Youngstown, Ohio, where the president held a "Make America Great Again" campaign-style rally at the Covelli Center. 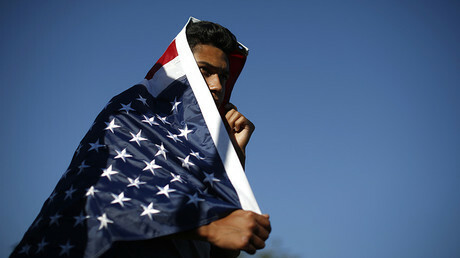 The event was reminiscent of a Trump election campaign rally, with pro-Trump merchandise being sold, and big trucks with Trump’s name plastered on the side. Trump began his speech by celebrating the Senate’s procedural vote on the Republican health care bill to repeal and replace Obamacare, which required Vice President Mike Pence to break a 50-50 tie. The Senate voted down the broad healthcare bill, 43-57, with nine Republicans in dissent. The president did not get into much detail about the GOP healthcare bill, moving quickly to familiar ground, lashing out at the media. Trump said that he likes to bypass the mainstream media and speak directly to the people. Immediately after telling the audience how safe it was, police grabbed a protester by the shirt and dragged him out. Several other protesters were also escorted out of the event by police, with Trump supporters violently grabbing at their signs, trying to rip them away. In the middle of his speech, Trump brought up a former Democrat, who claimed he voted for him in the last election. In particular, Trump bragged about his efforts to diminish illegal immigration and deporting violent gang members that belonged to MS-13. “They'll take a young, beautiful girl, 16, 15 and others and they slice them and dice them with a knife because they want them to go through excruciating pain before they die, and these are the animals that we've been protecting for so long,” Trump said. Specifically, Trump bragged about rebuilding the “incredible military,” keeping the Second Amendment “strong,” passing the Veterans Accountability Act, withdrawing from the Trans-Pacific Partnership “potential disaster” and the “job-killing” Paris climate accord, and having the lowest unemployment rate in 16 years. At one point, Trump mused aloud about being asked whether he should be on Mount Rushmore and said that he could be more presidential than any president that’s ever held office, except Abraham Lincoln.